Motorway Cops is a TV show on British national television from BBC1 with an average rating of 3.1 stars by TelevisionCatchUp.co.uk's visitors. We have 28 episodes of Motorway Cops in our archive. 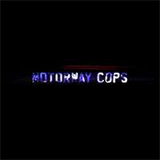 The first episode of Motorway Cops was broadcast in October, 2018. Did you miss an episode of Motorway Cops but don't you wan't that to happen in the future? Please set an alarm and add Motorway Cops to your favourites, so we can remind you by email when there's a new episode available to watch. For free! The reality series revealing the everyday heroism of our traffic police. Officers deal with a growing number of stolen cars and the damage caused by their reckless drivers. In West Yorkshire, five motorways and two major cities meet in one of the country's busiest intersections. PCs Chris Spencer and Mike Wroe are patrolling the M62 and checking number plates for illegal cars when they pull over a vehicle without valid insurance. The driver's reaction surprises the cops. The cops are forced to take some drastic action when two young men fail to stop for them. In the Midlands, officers in the Central Motorway Police Group have other worries, as they're force to close the M50 when a pedestrian is catapulted into traffic after being hit trying to help a stranded motorist. A team of specialist officers are striking back against drug runners and street dealers. PCs Dale Anderson and Doug Lofthouse receive a radio report of a serious motorbike crash and the cops respond to find a young rider of an off-road bike with life-threatening injuries. An air ambulance lands near the residential street in an attempt to save his life.